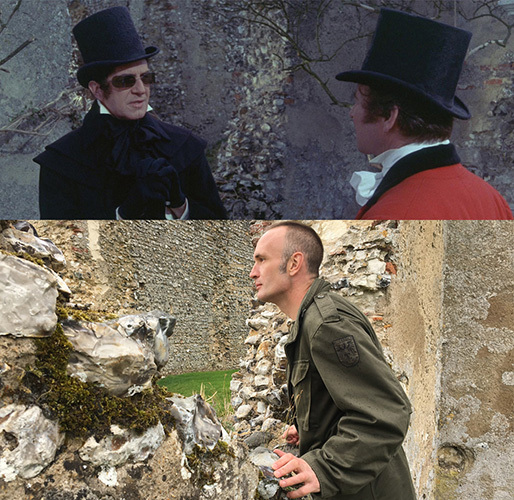 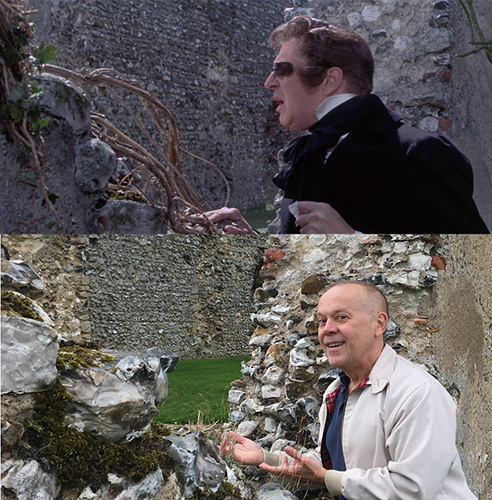 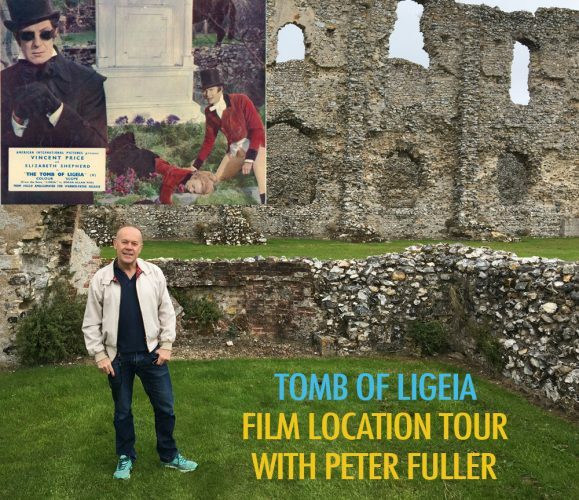 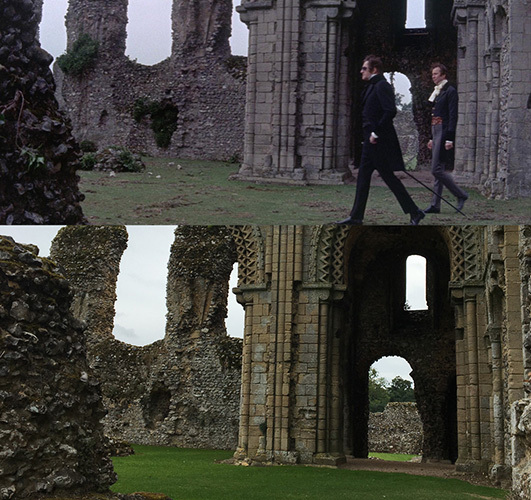 Did you know that Castle Acre Priory in Norfolk was used as the primary location for 1964’s Tomb of Ligeia, Roger Corman’s last hurrah in American International Pictures’ Poe adaptations starring Vincent Price? 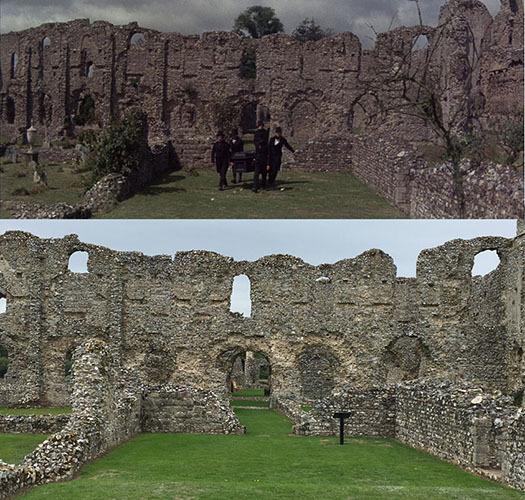 Founded in 1089 by Earl Warenne, Castle Acre Priory served as a Cluniac monastery inhabited by some 30 monks until it was dissolved in 1537 under Henry VIII, when it was turned over to Sir Edward Coke, whose descendant, the Earl of Leicester, now owns the ruins (under the administration of English Heritage). 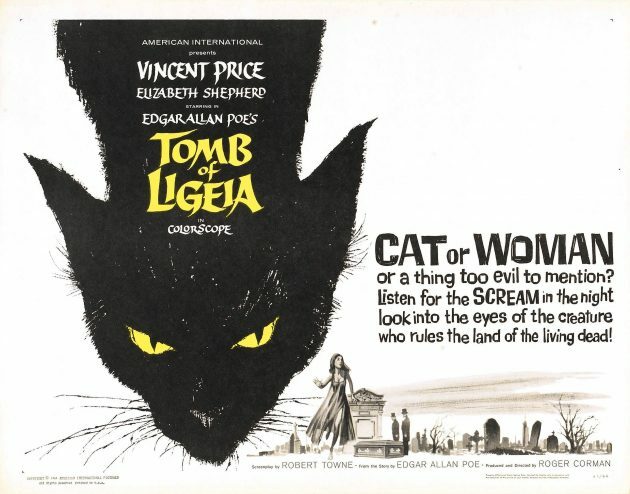 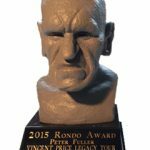 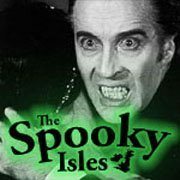 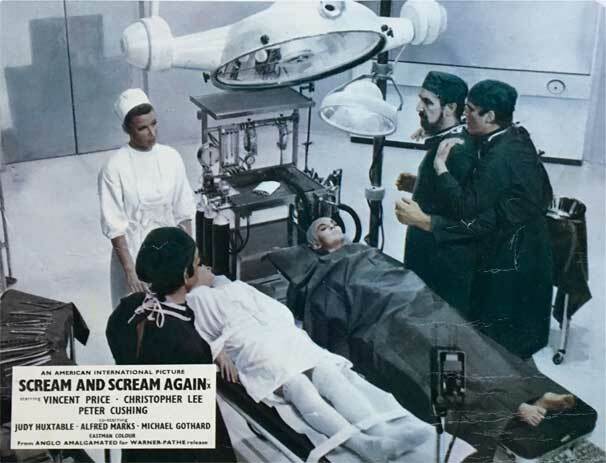 Back in 1964, however, it famously stood in for the home Vincent Price’s tortured hero Verden Fell who, against his better judgement, takes a new wife – the headstrong Lady Rowena Trevanion (Elizabeth Shepherd), but is soon haunted by the spirit of his late first wife, the ungodly Lady Ligeia. 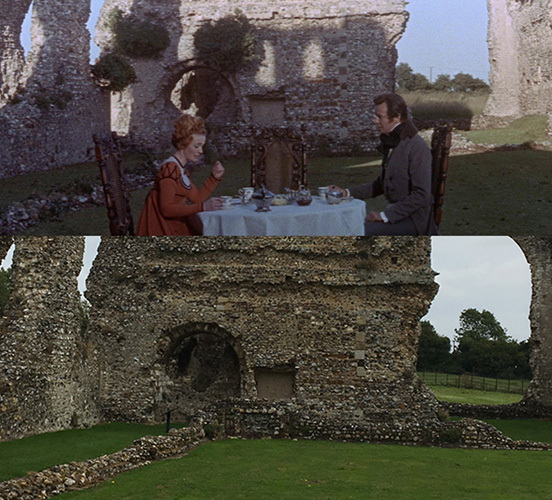 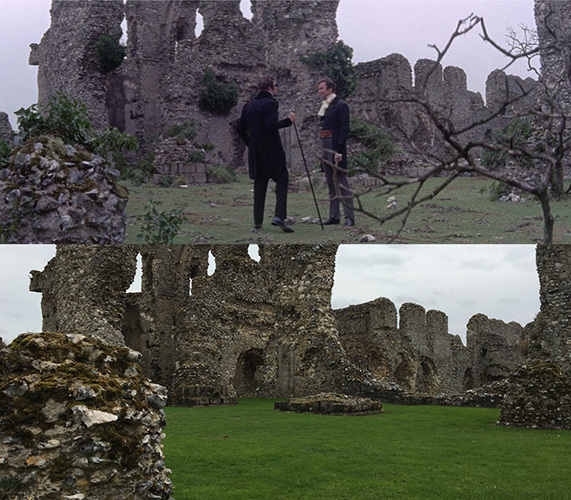 Roger Corman and cinematographer Arthur Grant (who was also a regular Director of Photography for Hammer Films) make great use of the Priory ruins, which haven’t altered a bit over the past 50 years. 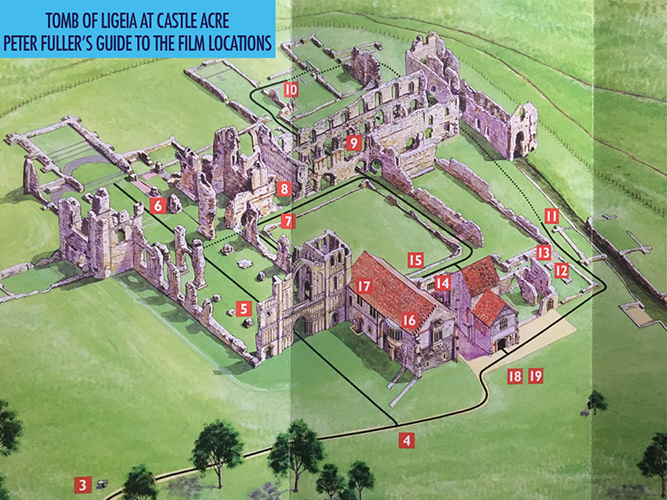 To point you in the right direction, I have used a map which is available at the ticket office attached to the Priory, and used the same numbering. 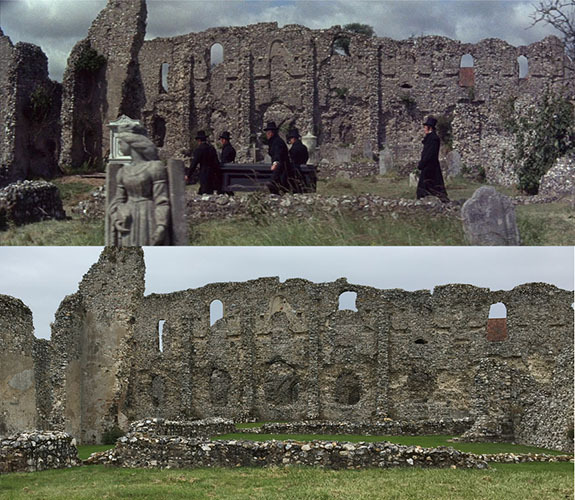 There are a few long shots of the Priory (taken from No3 in the map) used throughout the film, with the last one being a matt painting. 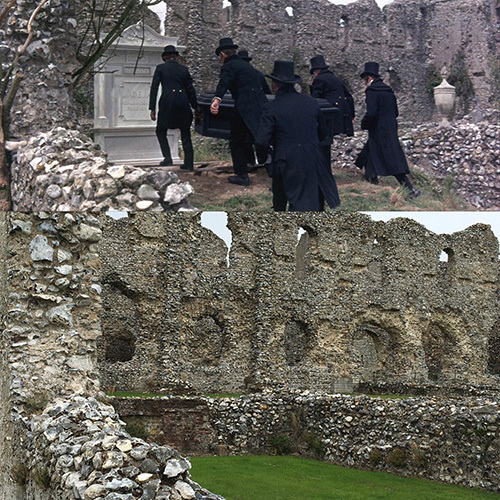 Ligeia’s coffin is carried through (10), where the monks infimary chapel and ward originally stood, to where her tombstone stands (in an area that was the later infirmary). 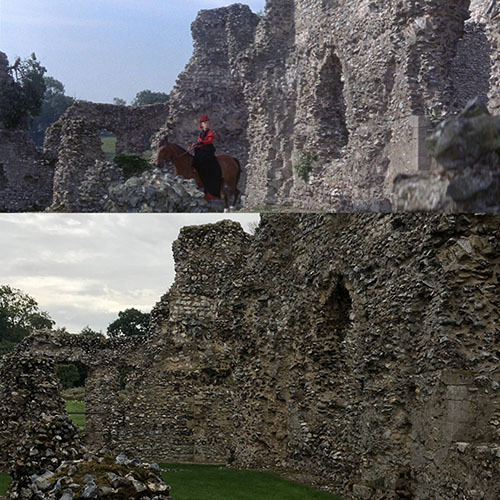 This is also where Rowena falls from her horse and where Verden and Christopher (John Westbrook) share some scenes. 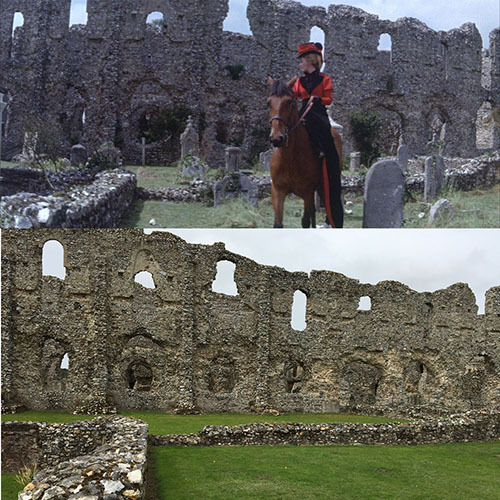 Following the fox hunt, Rowena rides her horse from (11), the old latrine block, through (9), the former day room and dormitory, and into (10), the infimary, towards Ligeia’s tombstone. 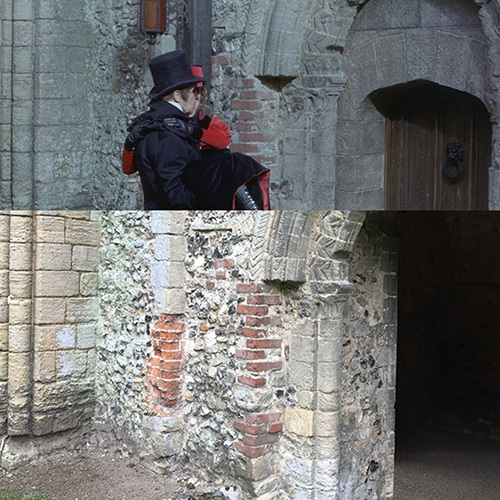 Christopher takes the same route following Rowena’s frightful first encounter with Verden. 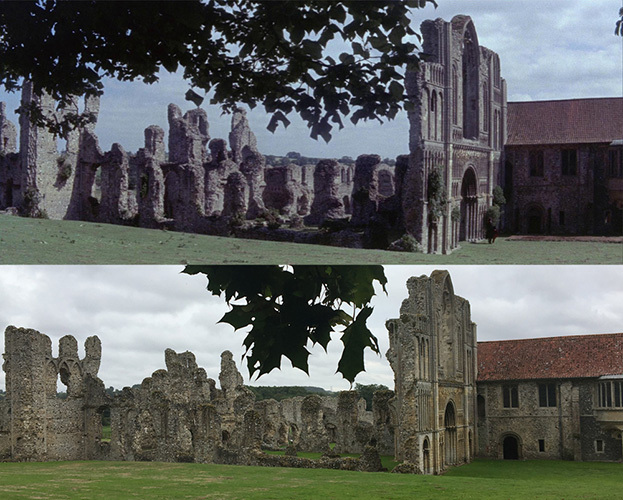 Rowena is carried by Verden through (6), where the Presbytery once stood, and (5), the Nave, and they stop at the main doorway in the west front (when Rowena takes off Verden glasses) befor heading into (17), the West Range and Prior’s lodging house. 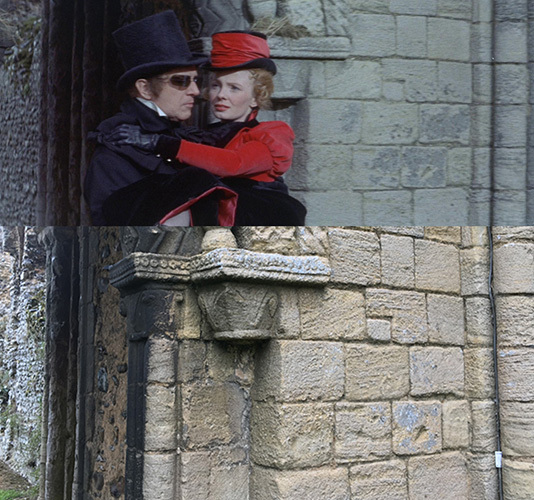 This area was used in a scene in which Rowena pays Verden a visit and a night-time shot when the couple return from their honeymoon. 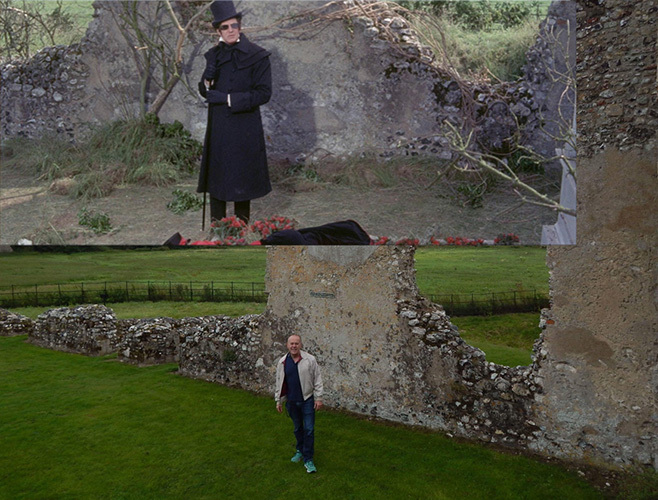 Verden leads Christopher through (5), the main doorway, to show him Ligeia’s defaced grave at (10), the later infirmary, where he also voices his concerns that Ligeia’s spirit has returned. 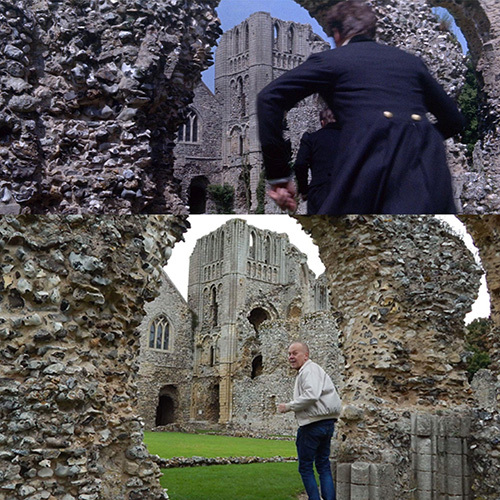 Verden and Christopher run through an arch in (9), former the Chapter House, on hearing the tolling of the bells (after Rowena follows the black cat into the belfry). 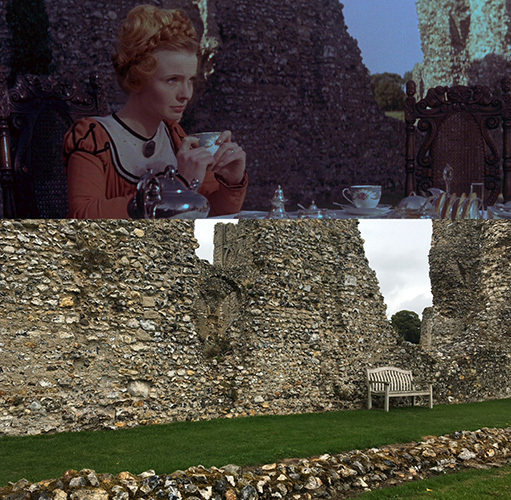 In a scene that always reminded me of Alice in Wonderland, Rowena and Christopher take tea outdoors in (7), originally the Cloister. 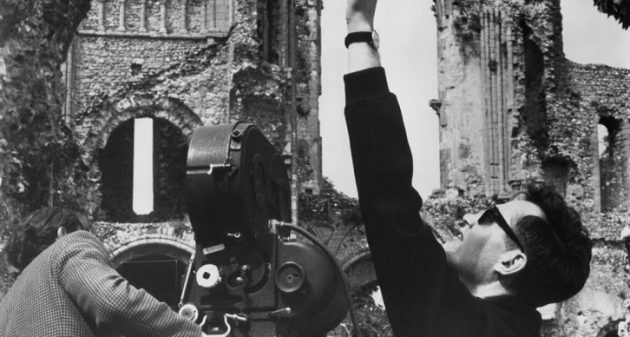 In the distance, you’ll see a power line and a plyon, which are still in tact today. 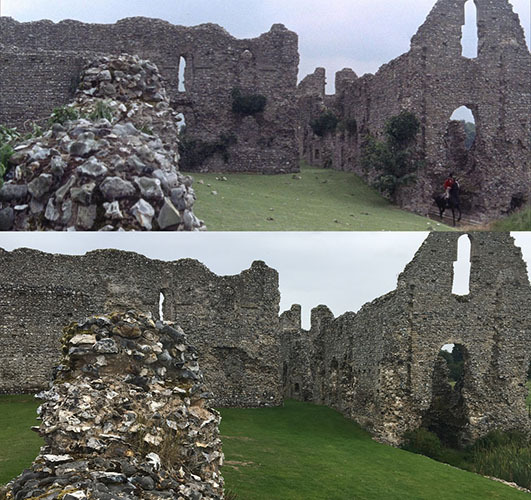 If you are ever in Norfolk, I do recommend a visit to Castle Acre. 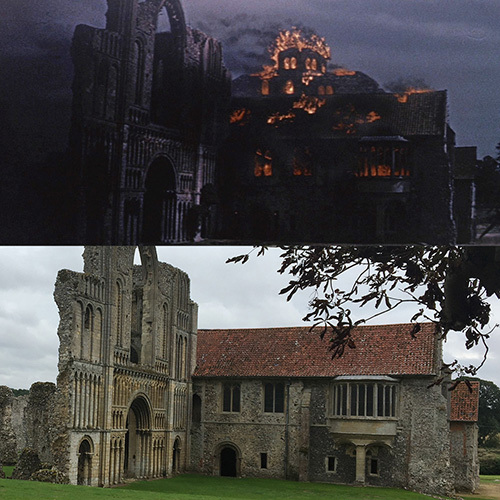 Of course, it wasn’t the only film location used in this classic Gothic horror – the others were Stonehenge, Polesden Lacey in Dorking, Surrey and St John’s Rectory in Wotton – and I’m looking forward to checking them out soon. 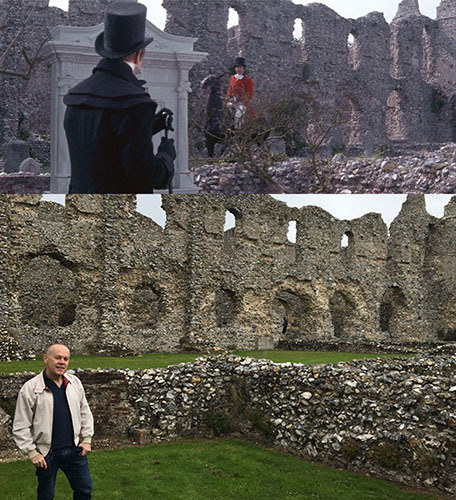 If you have any then and now pics (especially ones I may have missed) and you’d like to share them, then do get in touch. 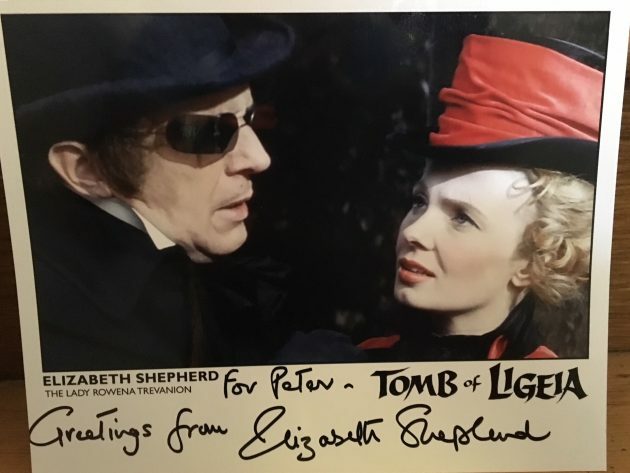 In the meantime, I’ll leave you with this lovely signed pic of Elizabeth.